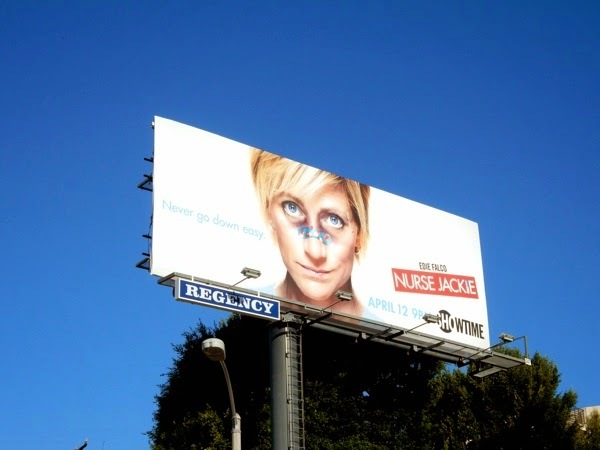 This may be Nurse Jackie's final outing, but from the looks of this season seven billboard, she's not going down without a fight. 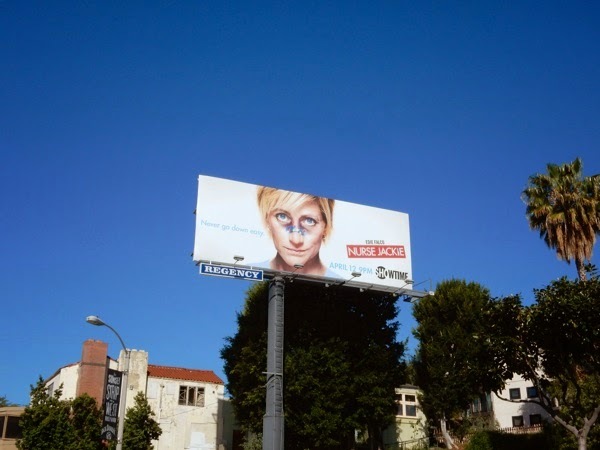 Let's face it for someone who's faced problems with addiction and has been known to pop more than a few pills, she should be able to shrug a few black eyes off easily. 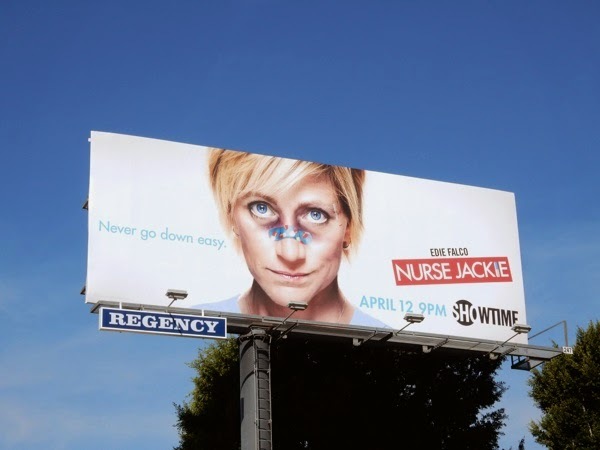 It took some time for Edie Falco to shake the spectre of her Golden Globe and Emmy Award-winning character of 'Carmela Soprano' from The Sopranos, but in her time as 'Jackie Peyton' she's won an Emmy to add to her collection, so it'll be sad to say goodbye to the New York City drug-addicted nurse just as we're getting to know her. 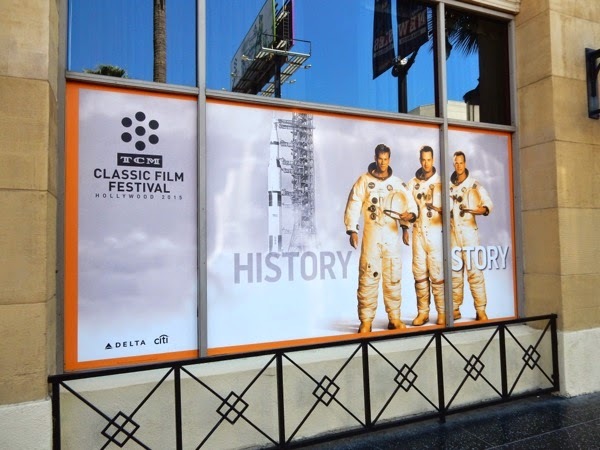 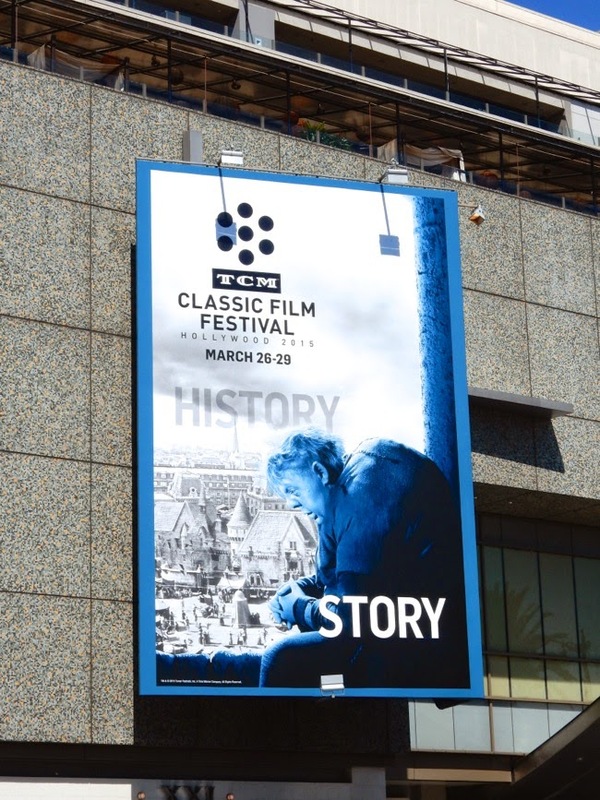 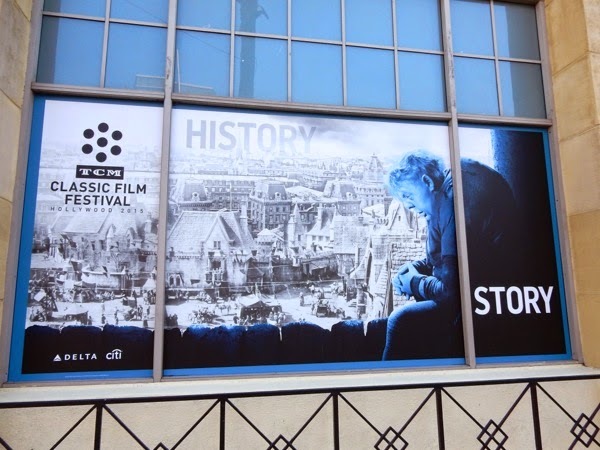 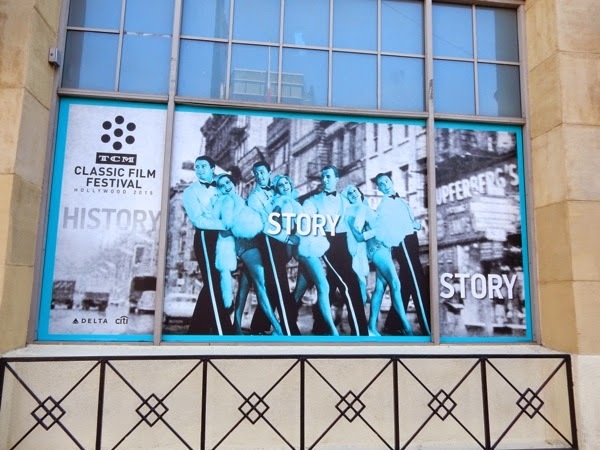 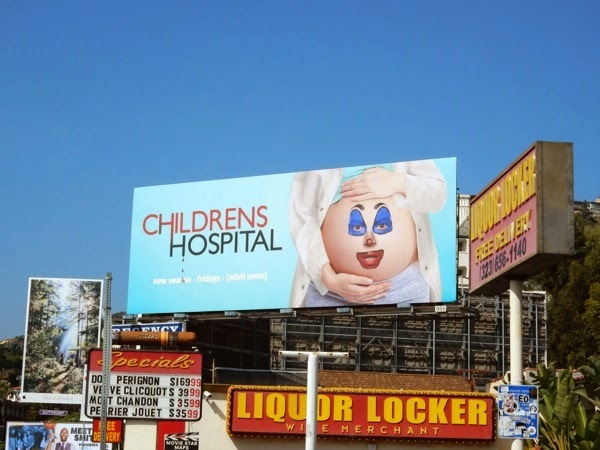 This last season billboard with its thematic pill covered Band-Aid was snapped along the Sunset Strip in West Hollywood on March 16, 2015. 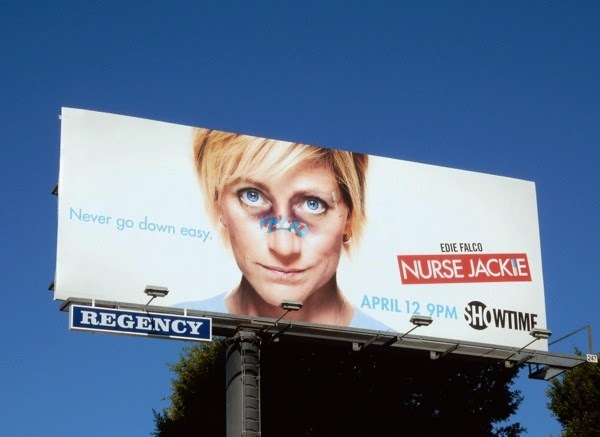 If you're a fan of the Showtime series taking its final bow, be sure to also enjoy these previous season promo billboards for Nurse Jackie, which have always had a wry wit about them. Forget House of Cards 'Frank Underwood' in the White House, Julia Louis-Dreyfus is Veep no longer, and for the fourth season of the political satire is the new POTUS in town. 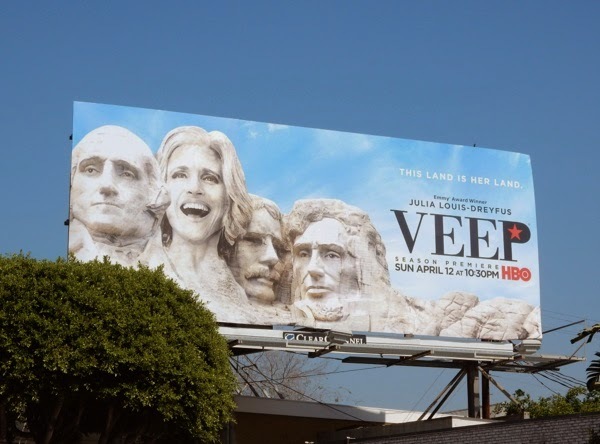 To immortalise her position as the Commander-in-Chief of the United States of America, 'Selina Meyer' is joining other Presidents of note on the infamous Mount Rushmore. 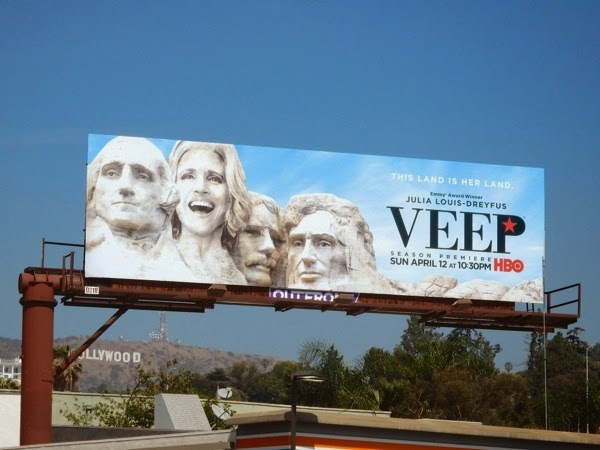 This parody of the national monument with the gigantic carved faces of George Washington, Thomas Jefferson (replaced by Selina), Theodore Roosevelt and Abraham Lincoln in South Dakota's Black Hills National Forest, is the perfect imagery to immediately convey the fun and theme of this White House comedy, especially as the Veep was made President at the end of last season. 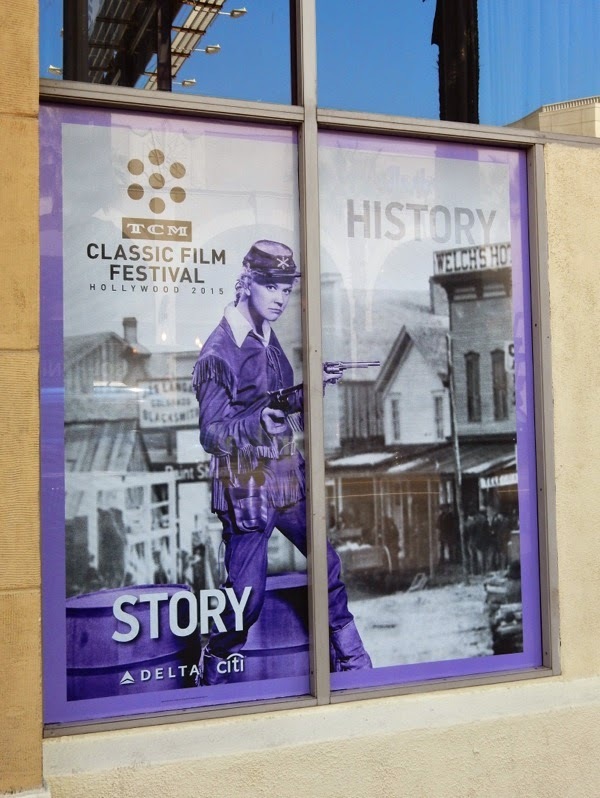 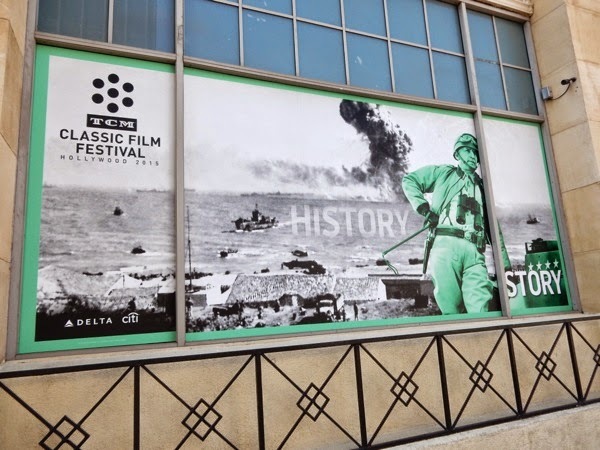 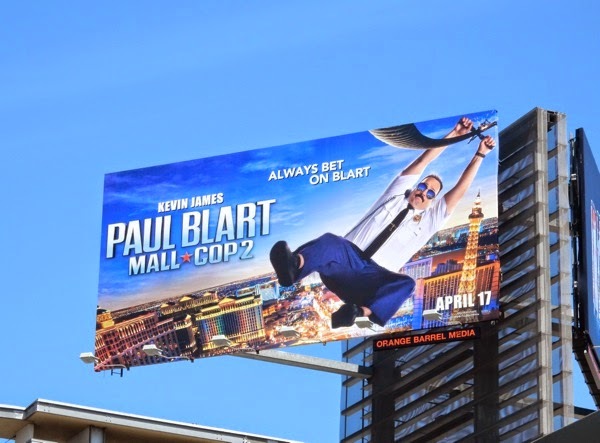 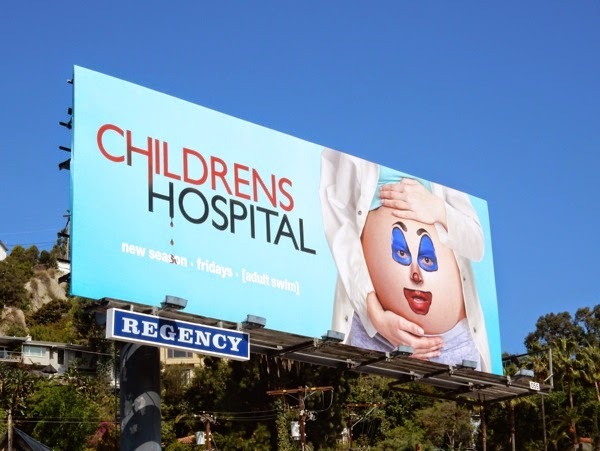 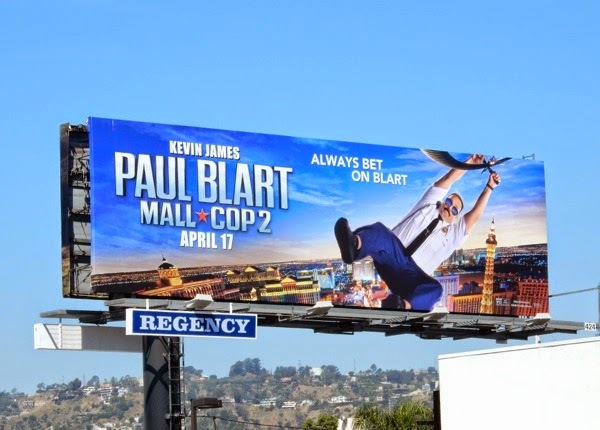 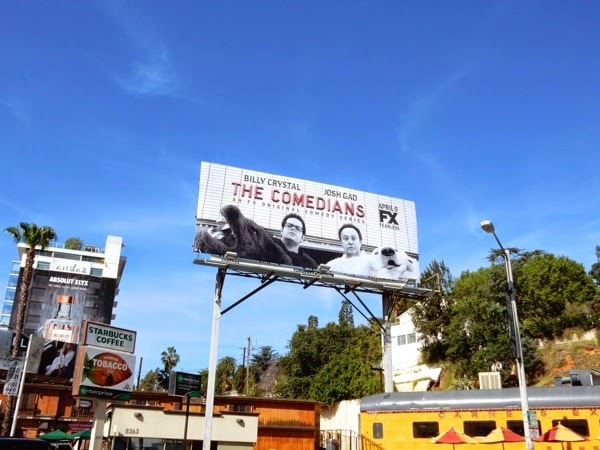 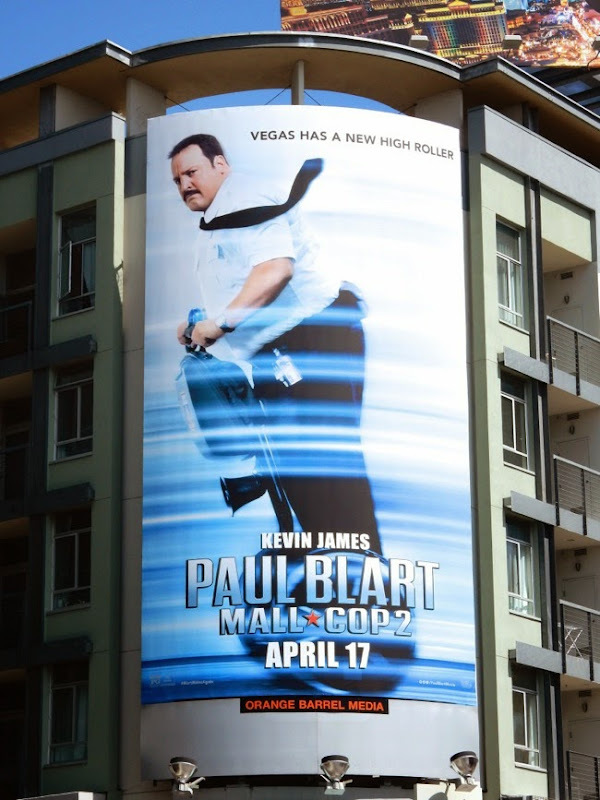 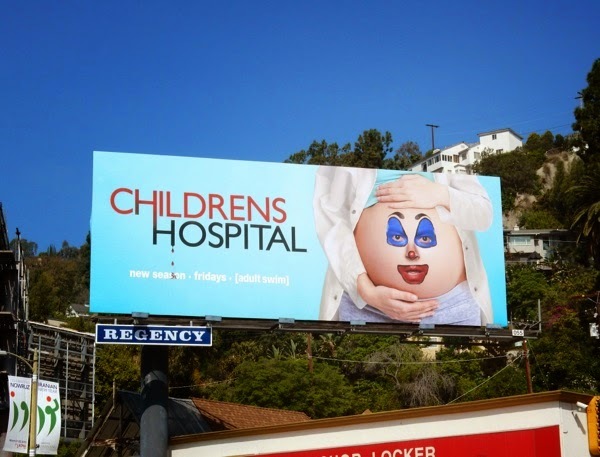 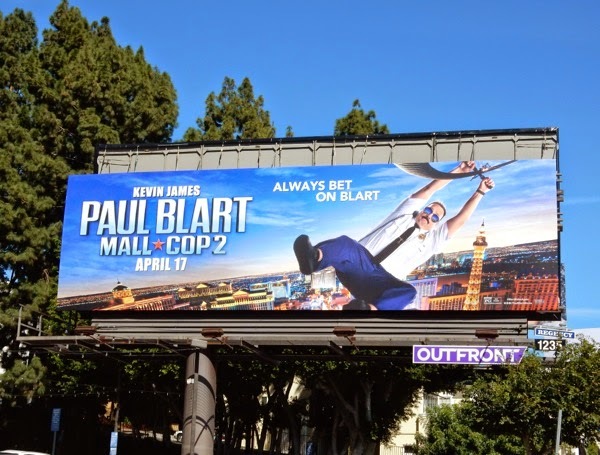 These hilarious season four billboards were snapped along Robertson Boulevard, Beverly Boulevard and Cahuenga Boulevard on March 19, 2015. 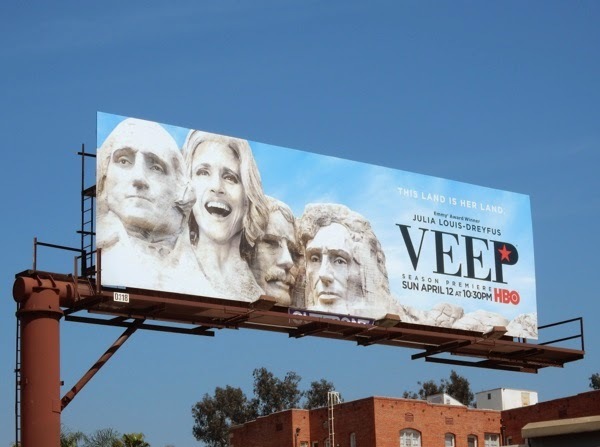 If you're a fan of the political parody series which has garnered Julia Louis-Dreyfus three consecutive Emmys, be sure to also take a look at these previous season promo billboards for Veep, including season three's homage to the 'Washington Crossing the Delaware' oil painting. 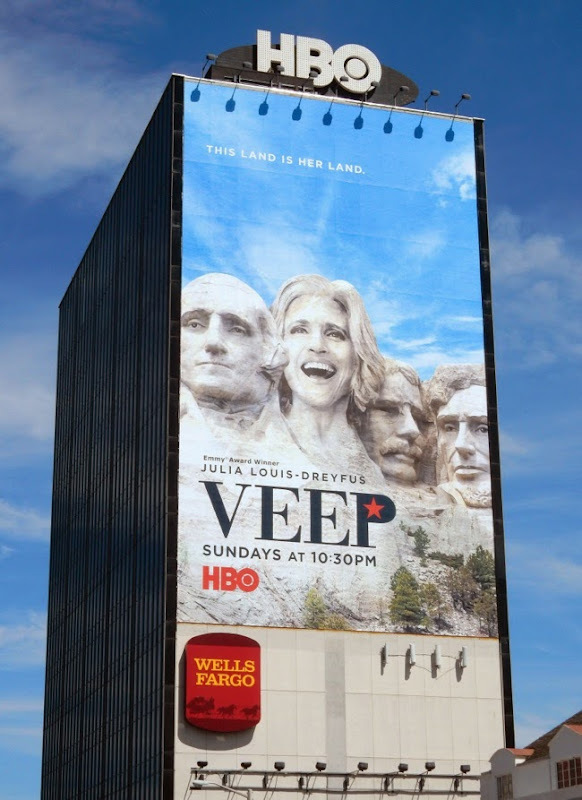 For another fun outdoor ad creative superimposed on a national monument, check out this clever billboard with Larry David as the Statue of Liberty for the eighth season of Curb Your Enthusiasm. 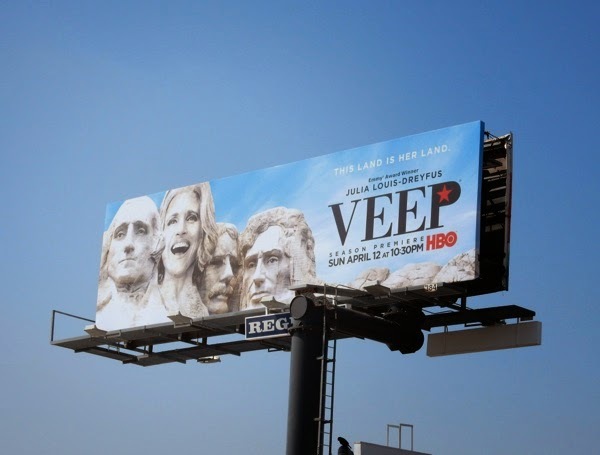 'This land is her land', but with the former Veep and her incompetent team in charge of running the country, what could possibly go wrong. 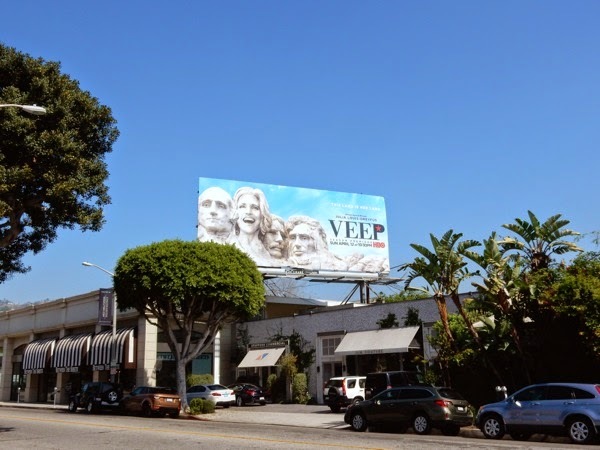 UPDATED: This is quite possibly Daily Billboard's favourite Veep season promo billboard, so imagine our delight seeing the creative super-sized along the Sunset Strip. 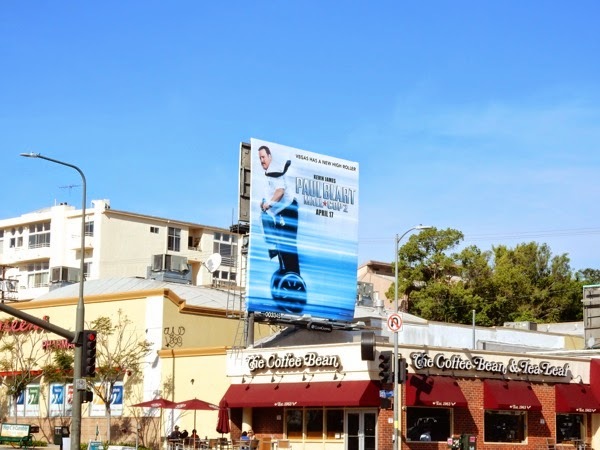 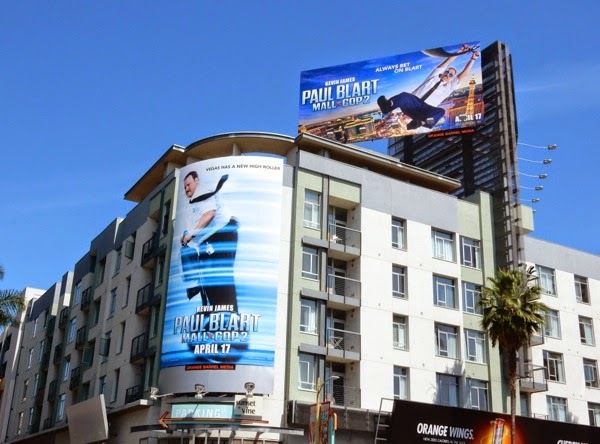 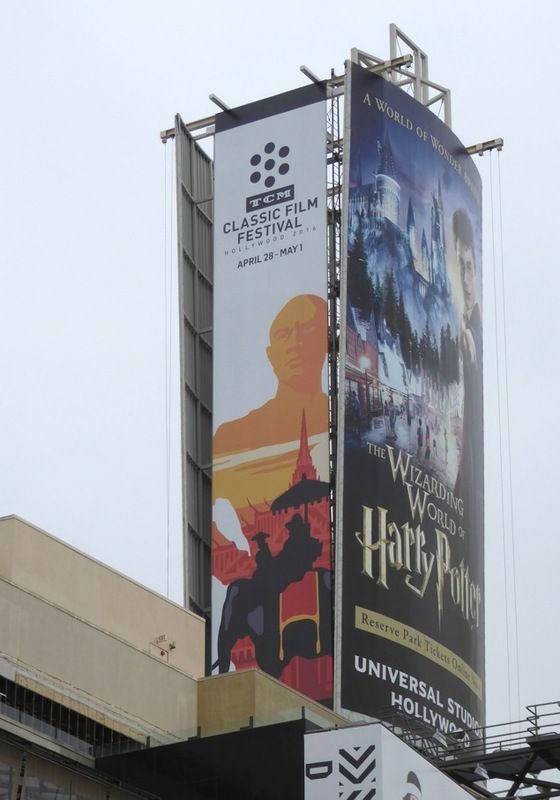 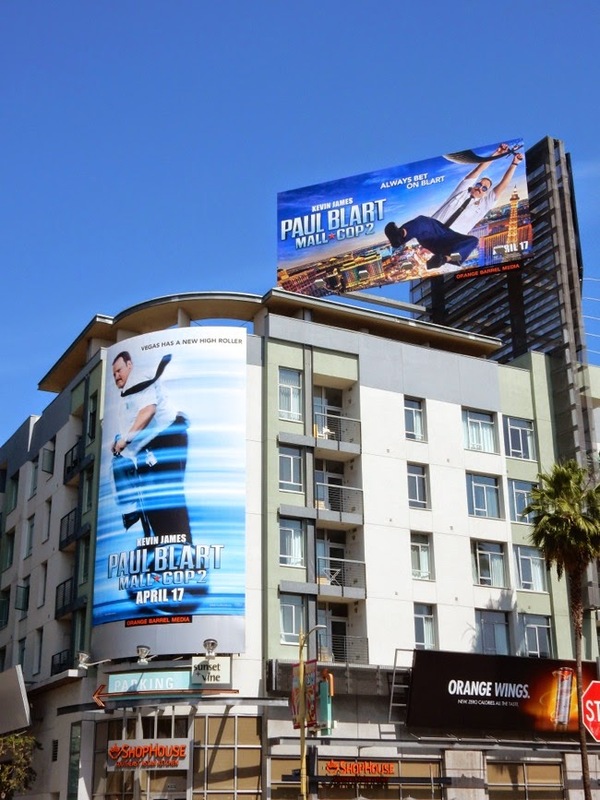 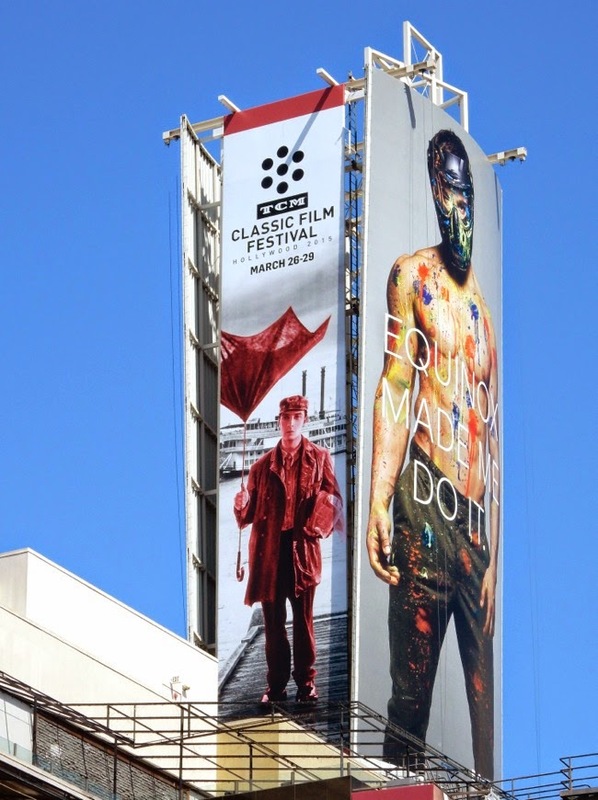 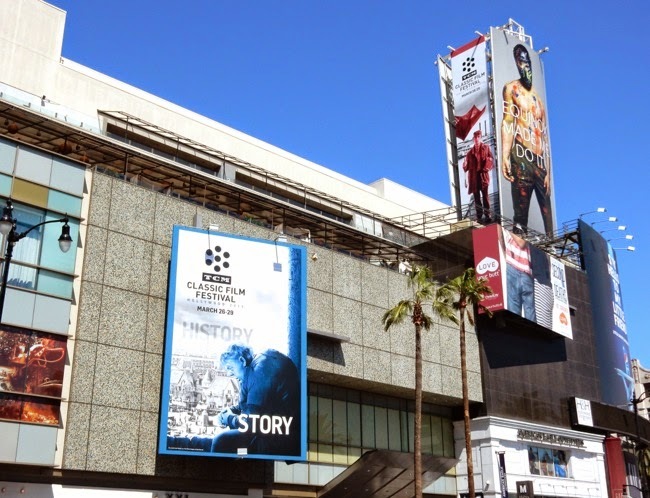 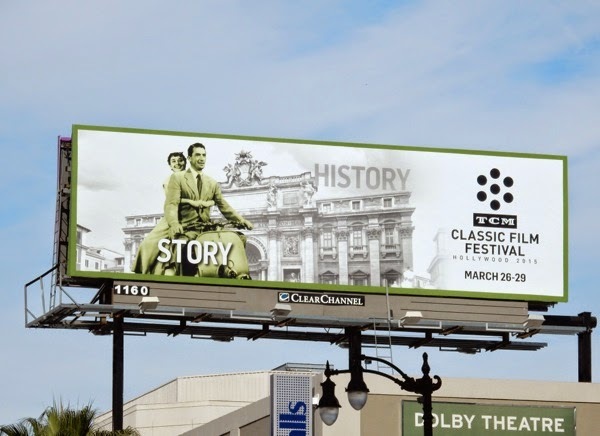 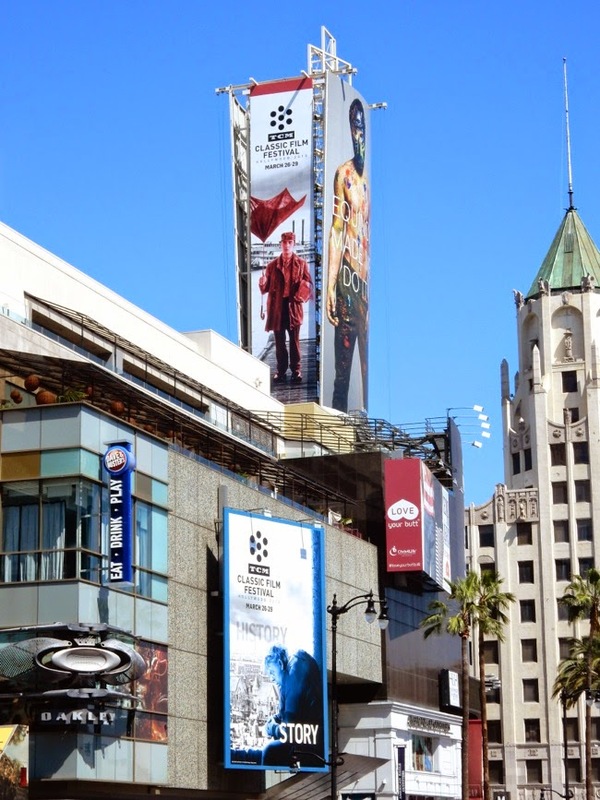 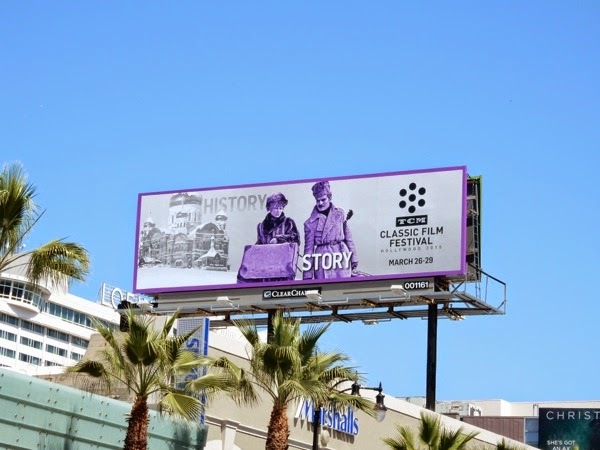 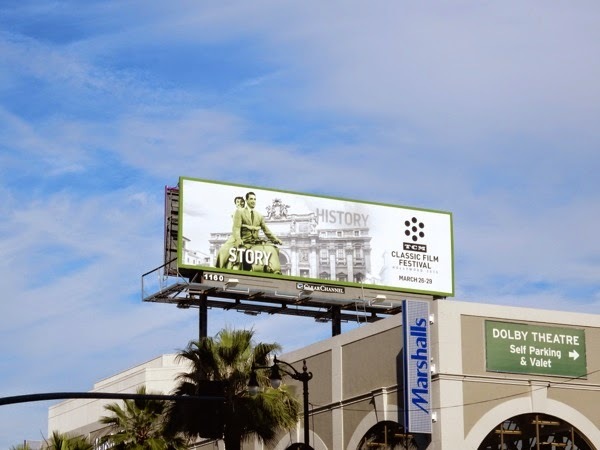 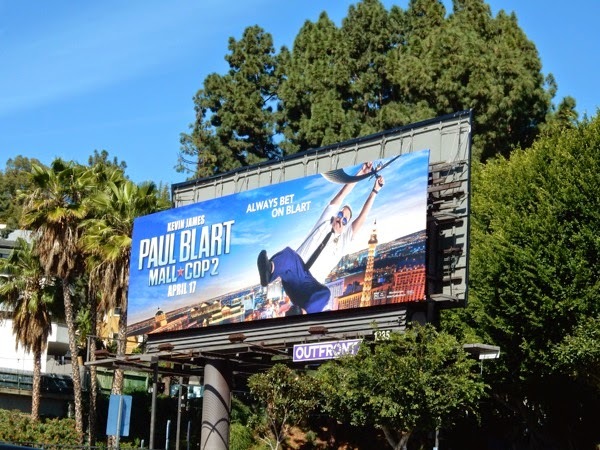 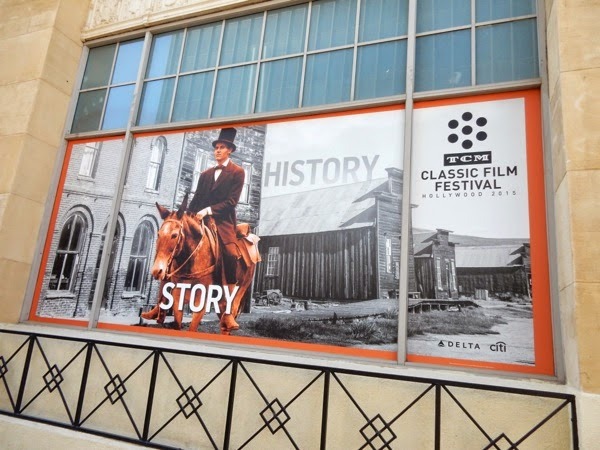 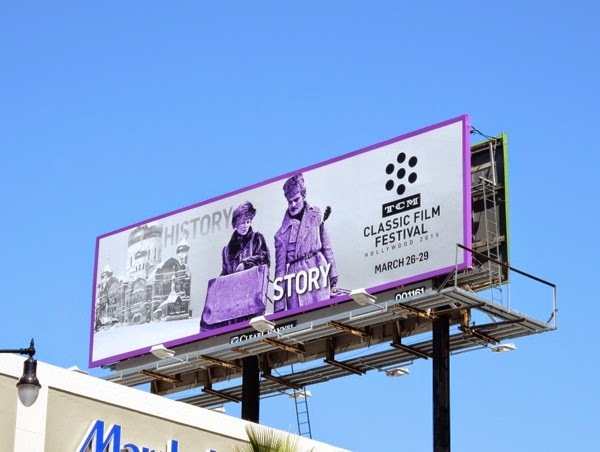 This giant season four billboard certainly brings some cheer to the busy commuter belt and was photographed towering over Sunset Boulevard eastbound on April 29, 2015. 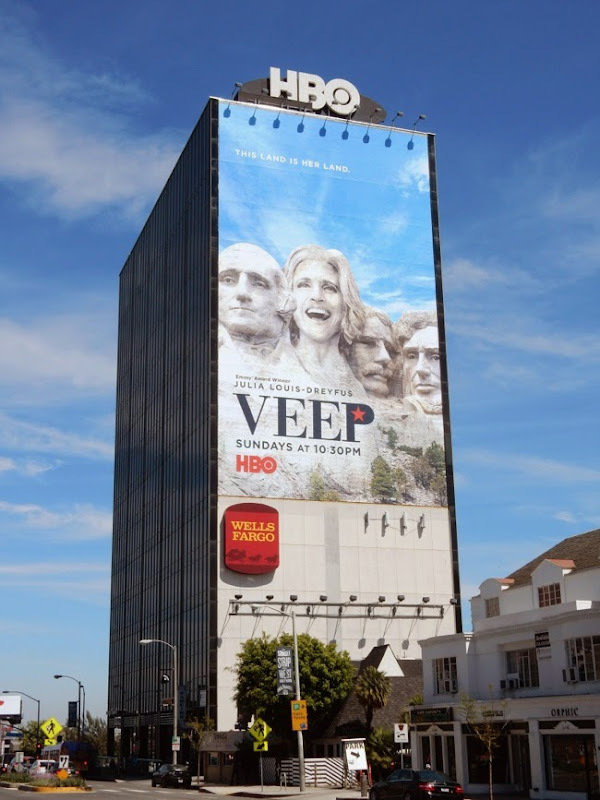 UPDATED: Here's also the amended season four creative to help garner Emmy Award consideration, with billboards spotted high above San Vicente Boulevard and along Pico Boulevard on May 20, 2015. 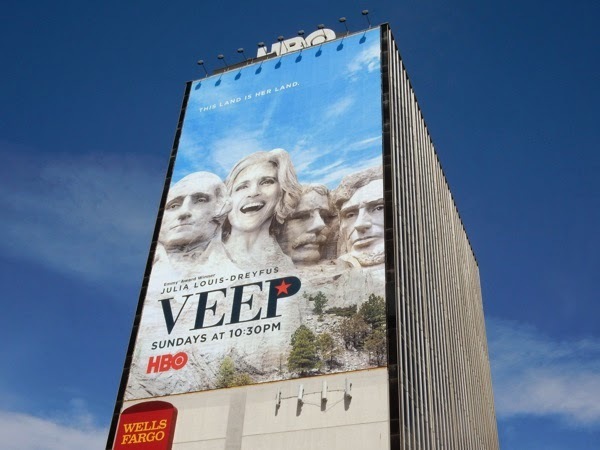 Can Veep continue its winning streak? 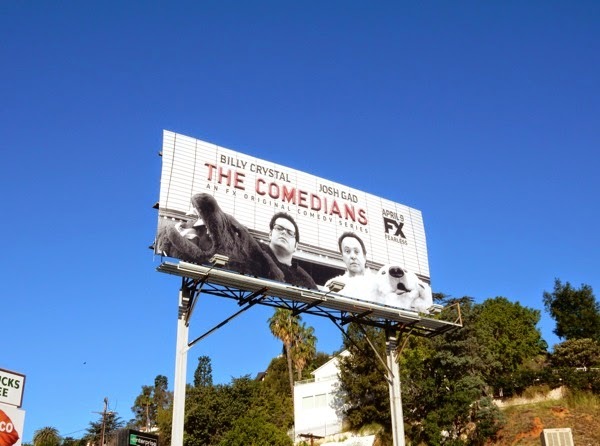 Plus be sure to check out the other HBO TV show Emmy Consideration billboards currently filling L.A.'s skies. 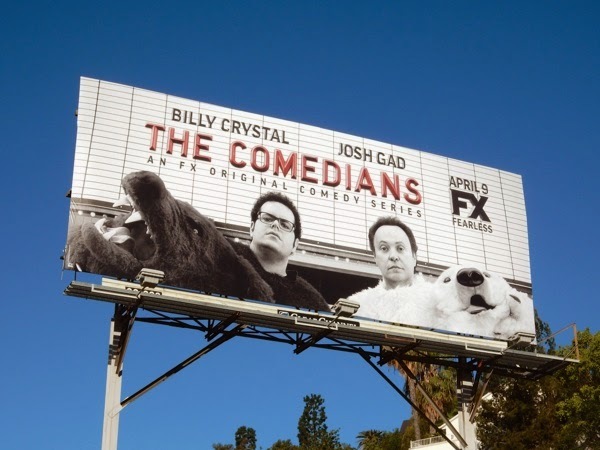 This April are you ready and willing to see genius in a whole new light? 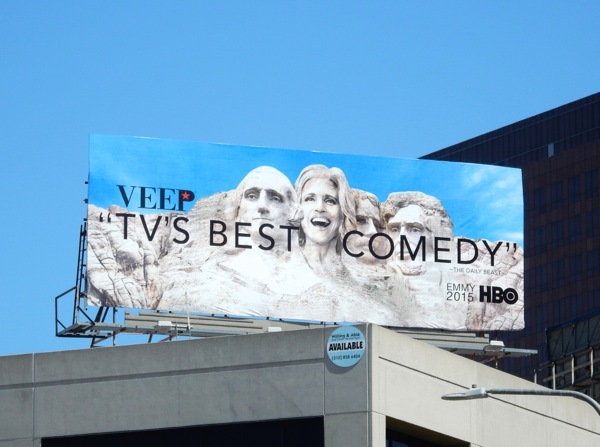 If so, get ready to be amazed, and entertained, by the sophomore season of HBO's critically-acclaimed Silicon Valley. 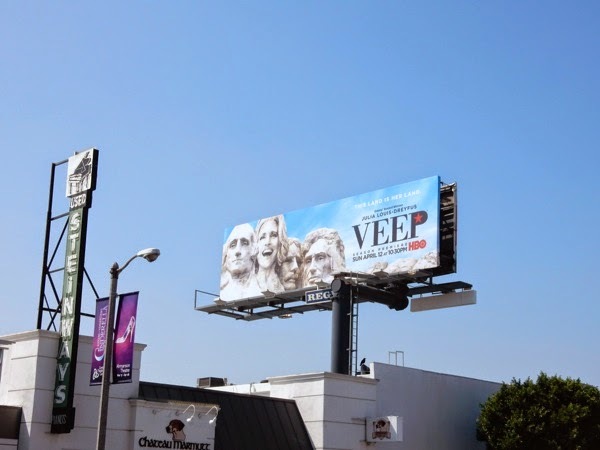 Whilst sexism in the real Silicon Valley is very much a hot topic, Mike Judge's satire of the Northern California tech world returns to follow the antics of 'Richard Hendriks' (Thomas Middleditch) and his fellow nerds as their music-matching startup app with its unique algorithm, 'Pied Piper', continues to give the internet big boys something to worry about. 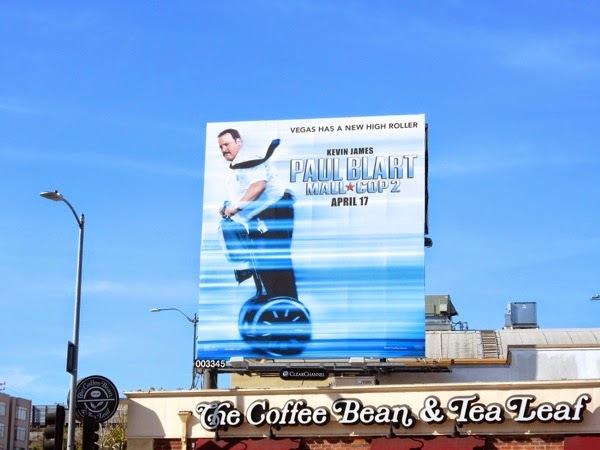 The super-sized Silicon Valley second season billboard was spied westbound along the Sunset Strip on March 14, whilst the smaller landscape creatives were spotted further east along Sunset Boulevard on March 19, 2015. 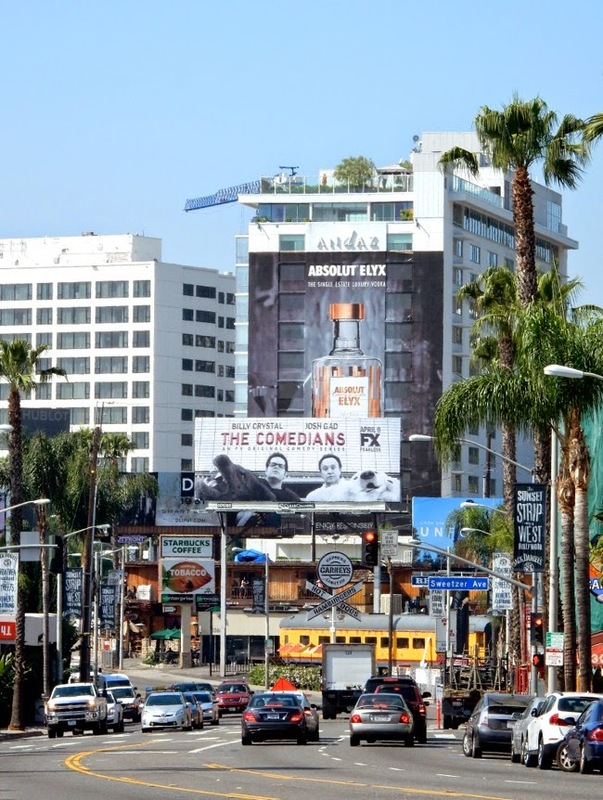 Daily Billboard likes how this season two ad creative retains the same feel as the Silicon Valley season one Steve Jobs billboard parody with the five characters head-shots, but has the fun lightbulb device to signify that moment of sudden inspiration or that great idea, which conveys the tech genius themes of the comedy series. 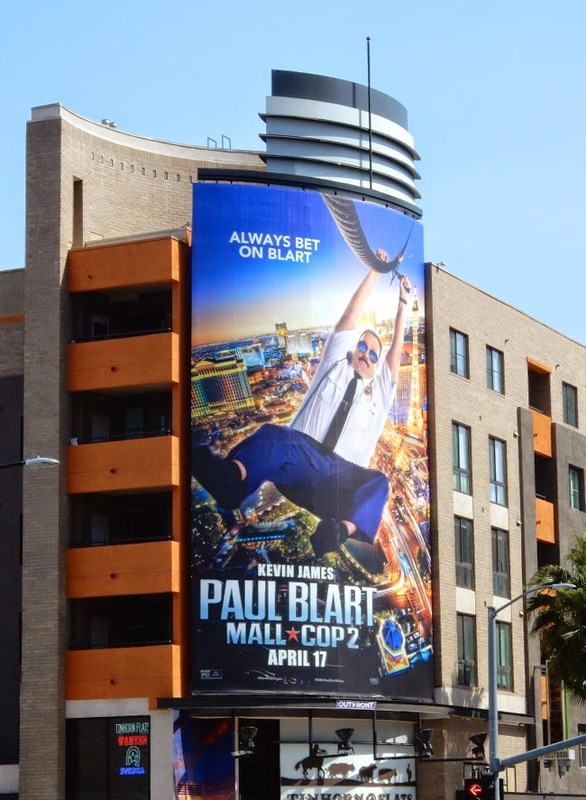 Now, more importantly, how many geniuses does it take to change a lightbulb? 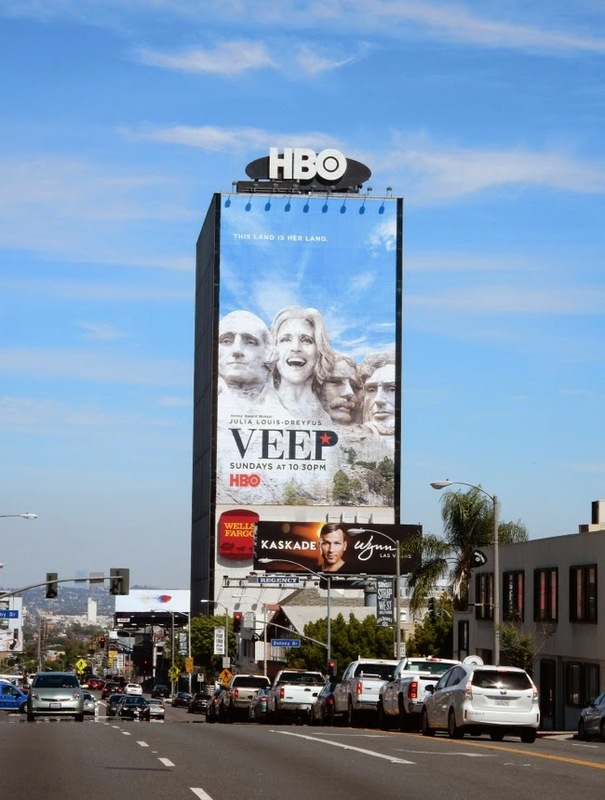 UPDATED: Here's another standard landscape billboard for the HBO show spied along Santa Monica Boulevard in West L.A. on April 2, 2015. 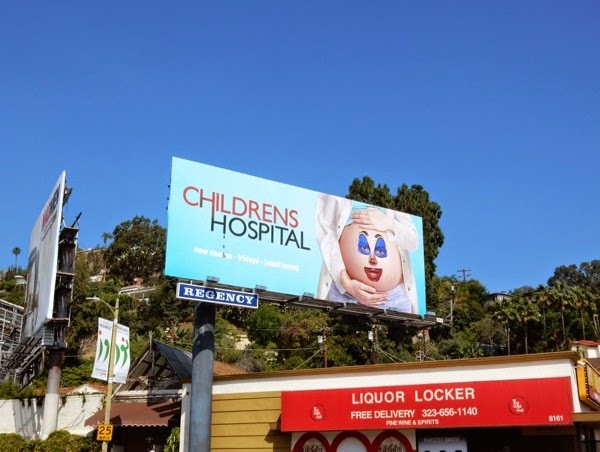 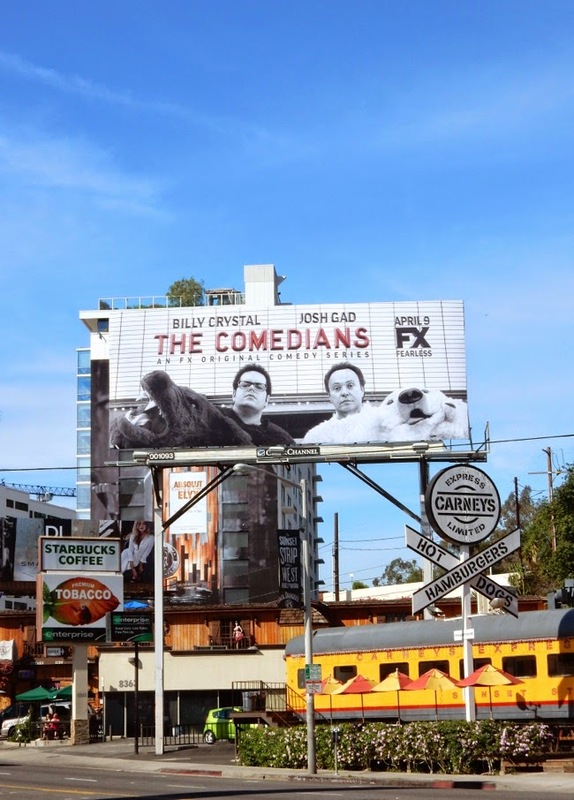 UPDATED: In addition here's the "Start-to-finish hilarious" Emmy consideration billboard incorporating the season two creative, spotted along Cahuenga Boulevard on May 19, 2015. 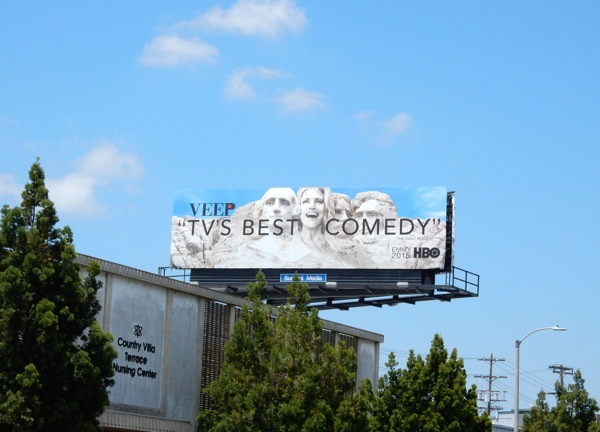 Plus be sure to check out all these other HBO 2015 Emmy Consideration billboards.